When can a student approach for support? Thoughts of suicide or harming yourself/others. 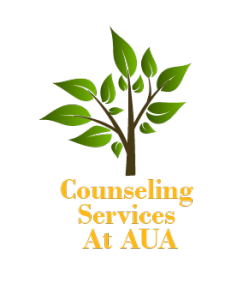 Individual counseling – Students may engage in face-to- face talk with a certified counselor to understand, identify and address concerns. While talking to the counselor, you will be asked questions which will help you to clarify your thoughts and feelings. 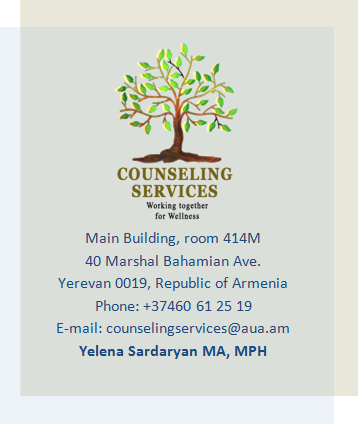 You can approach the counselor with issues of concern such as mood and communication problems, adjustment to a new culture or academic environment, stress management, etc. 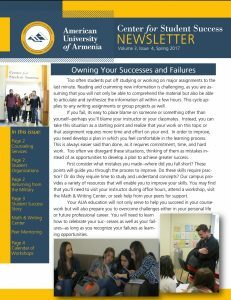 Group counseling – Students with similar problems come together to share their perceptions of the issues mentioned above. The process is facilitated by a certified counselor. This supportive environment allows space for students to reflect on their experiences, listen to solutions from peers and learn coping mechanisms. Workshops- Students can attend interactive workshops which are usually open to 20 participants. During a workshop no one will be asked to share any personal information.